Regent Linda DeGarmo presented Lorene Van Leeuwen with a Certificate of Achievement recognizing her 70 years of membership with Circle 239. April was a special month for Lorene because she also celebrated her 104th birthday. The next presentation was also special for Linda. She presented her mother, Mary Jean Zandler, with her 50-year membership certificate of achievement. During the celebration, Kathie Grosdidier was also recognized as our newest member. Thanks to Lois Carlson for photos. For more information about the Daughters of Isabella, including Circle 239, follow THIS LINK. Being handed a roll of this candy is a reminder that you can make a difference in the lives of women facing crisis pregnancies. The familiar Life Saver candy was invented in 1912 by Clarence Crane of Garrettsville, Ohio. He was looking for a hard-candy alternative to chocolate that melted during hot Ohio summers. Their shape was similar to life rings used on boats and around swimming areas. As they became popular, a roll of the candies was a "lifesaver" for the occasional sweet-tooth attack. In recent years, the word "Lifesaver" has taken a more literal meaning. 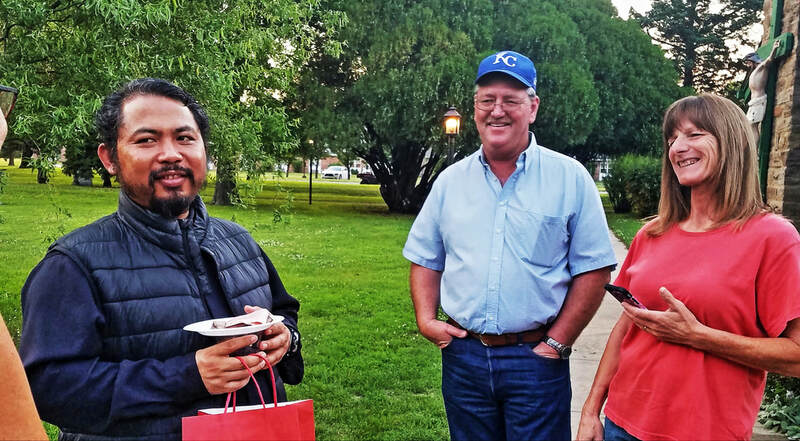 Knights of Columbus members, across the nation, don their familiar aprons and meet parishioners at church doors, after Mass, with the cash-can in hand. Being handed a roll of the candy is a reminder that you can make a difference in the lives of women facing crisis pregnancies. The difference an ultrasound machine makes is frequently the difference between a mother keeping or aborting her baby. It is hard to deny the humanity of an unborn baby when confronted with a face, a nose, a heart, ten fingers and ten toes. In January of 2019, the Knights of Columbus announced that it's Ultrasound Initiative had donated 1,000 ultrasound machines to pregnancy centers around the world. Closer to home, the Kansas State Council recently announced installation of two ultrasound machines in pregnancy crisis centers, with another scheduled by the end of April; and four more possibilities in the next 9 to 12 months. Local Life Saver Sunday proceeds support clinics such as A Better Choice Pregnancy Center in Wichita. So remember, when you see a Knight in the apron, with his can, ... digging into your pocket a little deeper will make a difference! 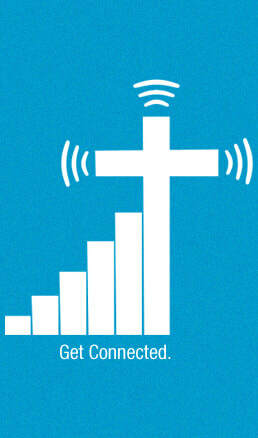 Photo is from KofC.org "Building a Culture of Life." The community backing of our Benefit Breakfast for the Holding Family was extraordinary! The definition of "community" for this event included people, businesses, organizations and churches from across Southeast Kansas and other areas who attended the fundraiser or sent checks to help Adalynn, Kenlee, Sophia and their parents. Our first Lenten Fish Fry, on March 8, was a good one! Revenue from events like this strengthen our Council's Community and Emergency Fund which, in turn, allows us to respond quickly to special community needs. 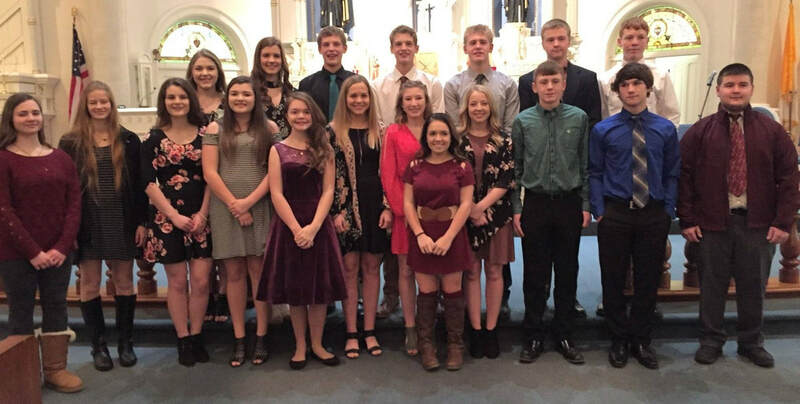 And a Special Shout-Out To Our St. Francis Catholic Youth Ministry for Doing Much of the Leg Work and Serving for That Event. Having them in the kitchen with the Knights makes the event more enjoyable. The CYM will share proceeds from this first Fish Fry. To Our Friends and Backers - When you Support the Knights, You Support Others. "Are you looking for a way this Lent to return to the Church or to develop a more fervent practice of your faith? 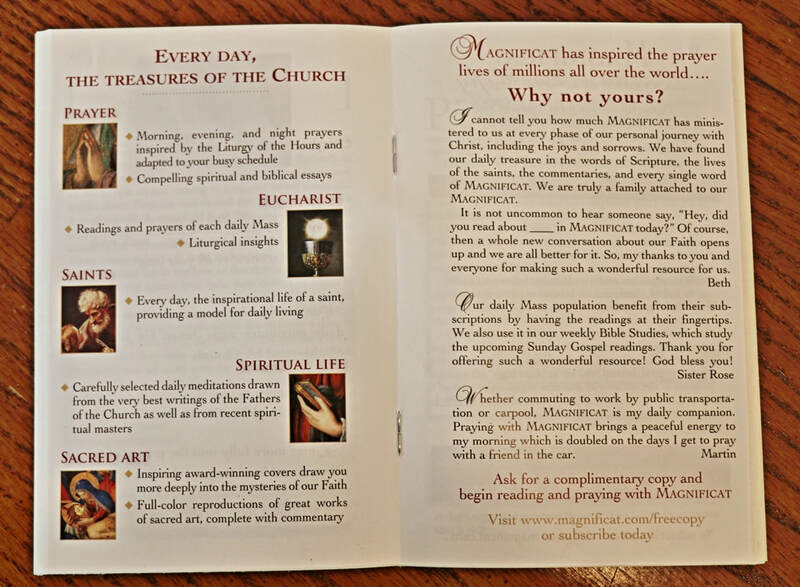 The Magnificat Lenten Companion 2019 is the perfect help"
The above is from the publisher's back-page summary of their booklet of articles, meditations or short prayers. The booklet includes a brief one page reflection for each day of lent, plus the Stations of The Cross and other material intended to guide us through Lent and into the Mystery of Jesus Christ. The St. Francis Altar Society has purchased these books and they are available, to parishioners, in the back of both St. Francis and St. Ambrose Catholic Churches. 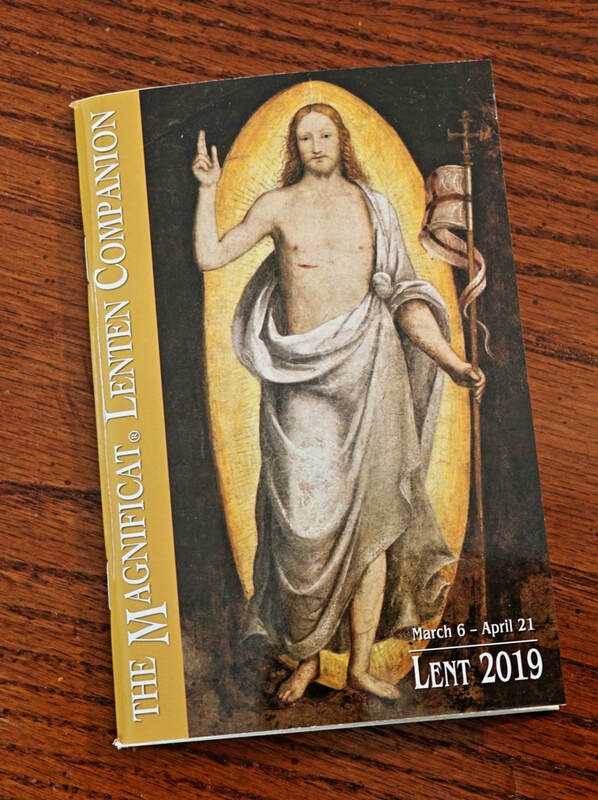 Pick up a copy of the companion for your family as part of your Lenten Reflection. Slideshow. To navigate through the slideshow, hover your mouse over a photo. 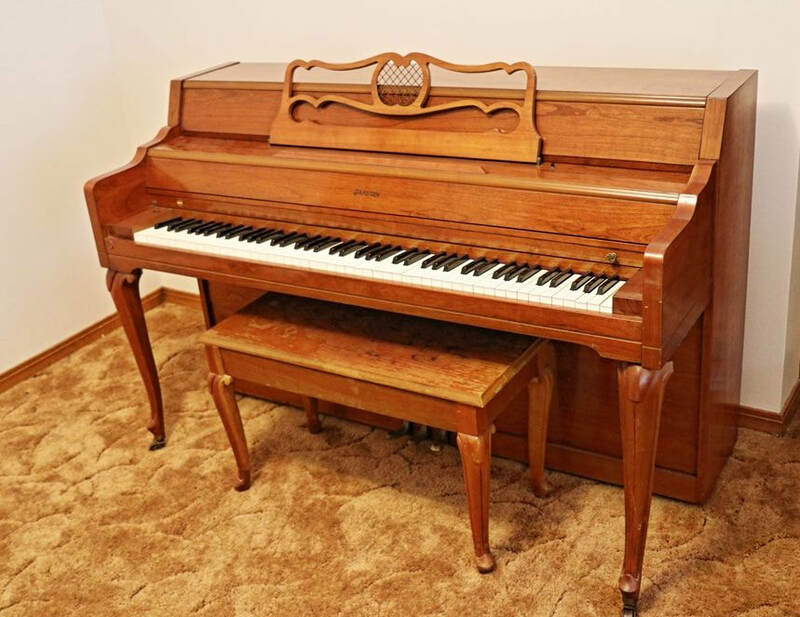 "Pause" stops and "Play" restarts. Use arrow buttons to move forward or back, or more quickly. Thanks to Marsha Smith for sending some of the photos. 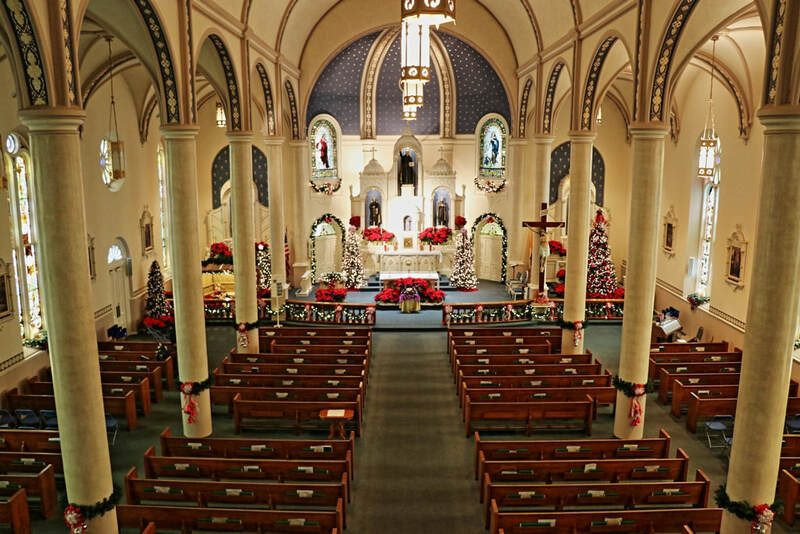 CHRISTMAS DAY: Tuesday, December 25th at 10:00 a.m. at St, Francis. Farewell Reception for Fr. David — June 3rd. 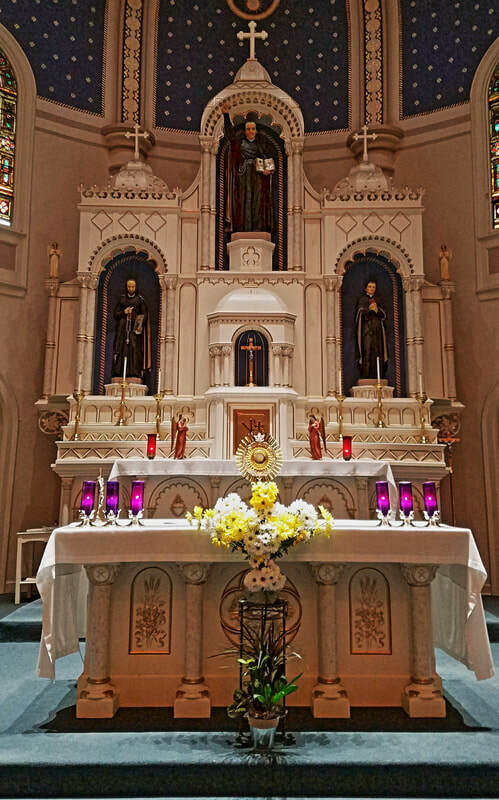 On Sunday, June 3rd, (Corpus Christi Sunday) we will have Adoration from 6:30 p.m. — 7:30 p.m. at St. Francis Church. After Adoration the Altar Society will have a farewell reception for Father David in the Garden Shelter House. Refreshments are provided. 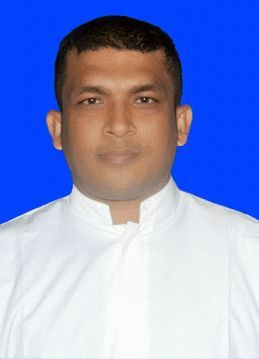 Everyone is encouraged to attend and thank Fr. David for all of his work here at St. Francis and St. Ambrose during the past 4 years. 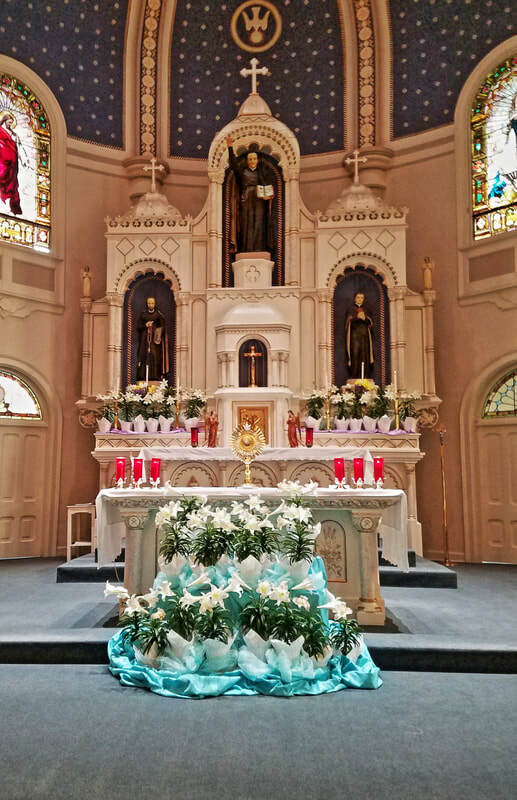 Father Schibi's 1st St. Paul Mass – June 9. It is a Joyous Time For Our Parish Family. 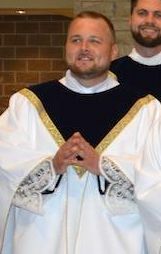 On Saturday, May 26, Deacon James "Jimmy" Schibi was ordained to the Sacred Priesthood in Jesus Christ at the Church of the Magdalen, Wichita. 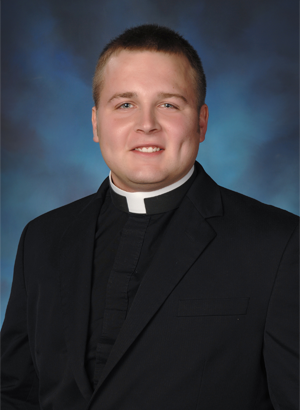 Father Schibi went to high school in St. Paul and graduated with the class of 2006. During his time at St. Francis he was confirmed and attended the St. Francis Parish School of Religion with many of our students. 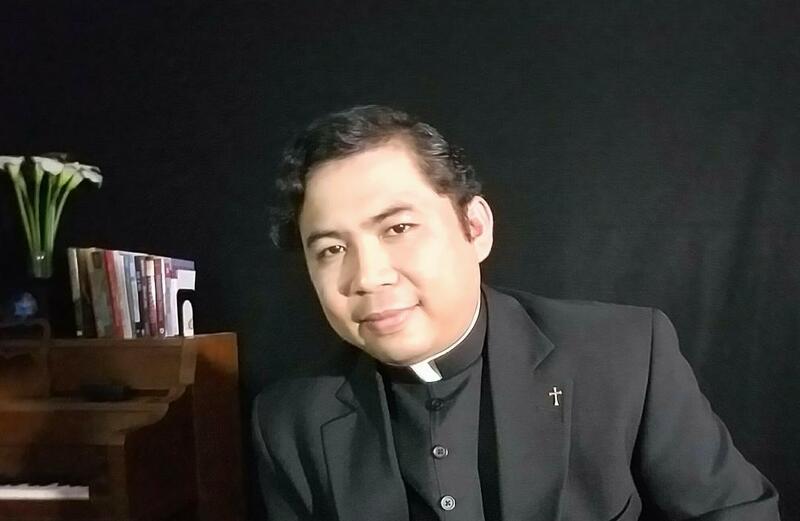 As he progressed through his Sacraments and religious education with us and his home parish of St. Patrick's, he received his call to the priesthood. 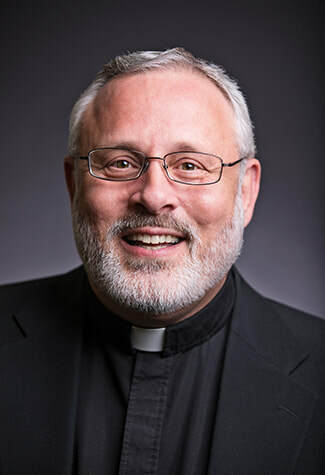 Father Schibi will celebrate Mass at St. Francis Catholic Church on Saturday evening, June 9th at 5:30 p.m. 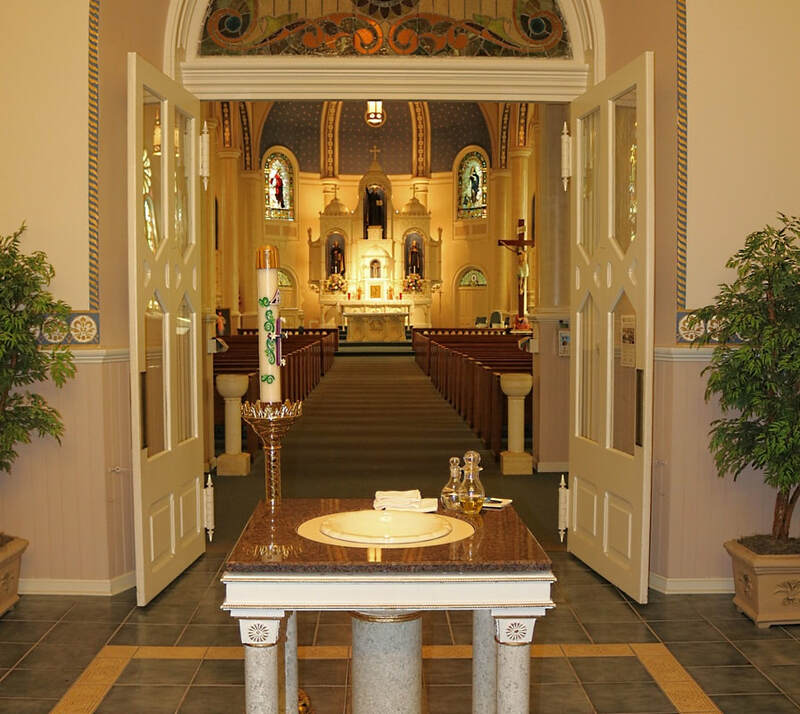 Following the Mass, the Altar Society and Knights of Columbus will serve dinner at the St. Francis Parish Hall. All St. Francis and St. Ambrose parishioners are invited to attend and wish him well! ... will have a meeting on Wednesday, May 16 at 7:30 p.m. at the St, Francis Parish Hall. Members are encouraged to attend. We have some upcoming, important business and events that need to be discussed and planned. We would like to than Ceci Thomas for the cinnamon rolls she furnished for the Knights on Sunday, April 29. We would also like to congratulate Bob Harmon for being selected as "The Knight of the Month." to the Dan and Susan Vitt Family for being selected as "Family of the Month" and Riley Vitt for the Youth Sponsorship.